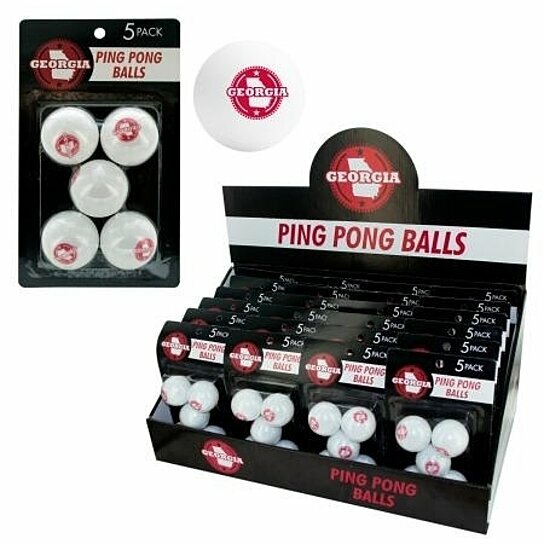 Use these Georgia stamped ping pong balls whether you're in training, practicing or just want to have fun. Each pack comes with 5 ping pong balls. There are 24 packs per countertop display.